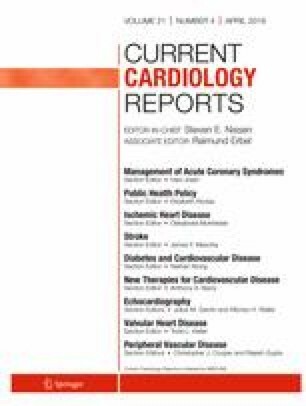 To review evidence-based lifestyle modification strategies for secondary prevention and explore how they are incorporated in traditional cardiac rehabilitation (CR) and intensive cardiac rehabilitation (ICR) programs. While physical activity is an important element of cardiac rehabilitation, more recent studies support a variety of methods, including stress management and plant-based diets, to reduce cardiovascular risk factors. Patients who participate in traditional CR programs demonstrate clinical improvement, which are significantly greater in intensive CR (ICR). Yet, there is still a disparity in numbers between those who are eligible and those who ultimately enroll. Research into non-surgical and non-pharmacological health management approaches continues to validate the effectiveness of multidisciplinary intensive CR programs, but there is an increasing need to connect patients with these opportunities. Pam R. Taub has no disclosures related to this paper. However, she is a consultant and speaker for Sanofi/Regeneron, Novo-Nordisk, Boehringer-Ingleheim, Janssen, Pfizer, Amarin, and Amgen. She is a stock holder of Cardero Therapeutics. She is also medical director of the Ornish/ICR program at UC San Diego Health System. Hannah C. Lo declares no conflict of interest. Andrew M. Freeman does non-promotional speaking for Boehringer-Ingleheim. He is also medical director of the Ornish/ICR program at National Jewish Health. Dean Ornish receives royalties from books, fees from Sharecare, and sometimes honoraria from lecturing. This article does not contain any studies with human or animal subjects performed by any of the authors. It is a review article summarizing previously published human studies. American Heart Association. Cardiovascular disease: a costly burden for America–projections though 2035. https://healthmetrics.heart.org/wp-content/uploads/2017/10/Cardiovascular-Disease-A-Costly-Burden.pdf. Published February 14, 2017. Accessed September 14, 2018. Aldana SG et al. Heart lung. 2003;32:374–82.Ornish Lifestyle Medicine. www.Ornish.com. Accessed September 15, 2018. Pritikin Longevity Center. www.Pritikin.com. Accessed September 15, 2018.